Hotel Freeland is situated in the Amsterdam City Centre district in Amsterdam, 200 metres from Leidseplein. 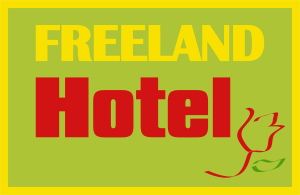 Hotel Freeland features free WiFi throughout the property. The hotel also offers bike hire. Rijksmuseum is 600 metres from Hotel Freeland, while Van Gogh Museum is 700 metres away. The nearest airport is Schiphol Airport, 10 km from Hotel Freeland.